We have received the following message on behalf of the RareConnect team from Robert Pleticha, Online Community Manager. We've been looking over how people use and find the TMAU community on RareConnect.org and wanted to share some statistics with you. Please share this with others if you think they might be interested. We'll be sending you these updates every quarter. We're always open to your ideas on how we can improve the community, or add new information...just send us an email. I'd like to thank all of you for your contributions during the webinar series and answering patient questions on the community. Let's keep this great momentum going, let us know how we can help. 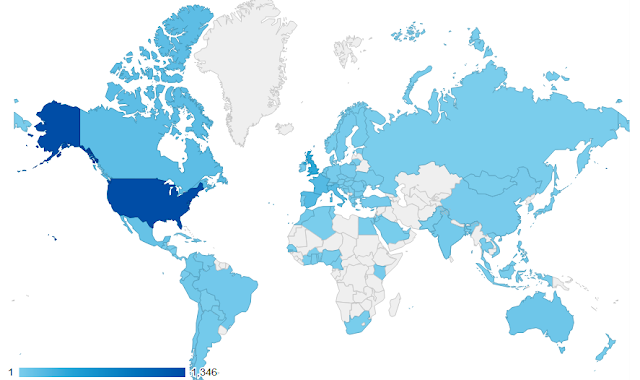 Who has visited the TMAU Community over the past 3 months? What do they do when they visit? How are people finding the community on search engines? How did visitors find the community? 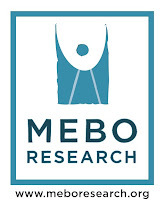 MEBO encourages sufferers, families, and experts to visit and participate in posting and conducting webinars sponsored by RareConnect. I've been taking kelp and zinc together and have seen some wonderful results so far, not sure how long it will last, but so far so good. I looked up the nutritional data of kelp, http://nutritiondata.self.com/facts/vegetables-and-vegetable-products/2617/2, and it seems to be have minerals, like Calcium, iron, and mostly magnesium. It also seems to contain Omega-3 fatty acids and Omega-6 fatty acids. I don't know what the recommended dosage is for any of these, but I read that "Magnesium ion in large amounts is an ionic laxative, and magnesium sulfate (common name: Epsom salt) is sometimes used for this purpose. So-called "milk of magnesia" is a water suspension of one of the few insoluble magnesium compounds, magnesium hydroxide. The undissolved particles give rise to its appearance and name. Milk of magnesia is a mild base commonly used as an antacid, which has some laxative side effect." Again, I don't know if the dose you are taking in kelp is high enough to serve as an intestinal cleanser, or at least to help you be regular. Full evacuation of bowels is a very important part of odor-management. it also allows probiotics to work better. In the 4Rs protocol as described by Cass Nelson-Dooley, Clinical Consultant at Metametrix in Part 2 of her interview for this blog, for the last R (Repair), she recommends to consider L-glutamine, essential fatty acids, zinc, panthothenic acid and vitamin C.
So, your consumption of zinc and kelp seem to be consistent with what experts recommend. I hope the benefits last. And even if you might get odor symptoms later, at least you know that zinc and kelp are beneficial for you, and then you can try to see what else could have produced symptoms. Hopefully, this benefit will be long lasting. Do you know more information about kelp that you can share with us? I have been reading the web and kelp is good for iodine deficiencies and a overall good mineral and nutrient supplement. I prayed and prayed and continue to pray I'm amazed this is the 1st time in over 25 years that I am able to eat shrimp or seafood and anything and not have the take flagyl or metrogel these items never really killed the smell but it was something to use as a weapon. I'm not sure if it is the flagyl or the zinc because I have taken them both before separate but never together. I take 2 kelp 150 mcg and 1 zinc 100 mg daily and the results are perfect I smell good. My entire body feels different my head, my adrenaline, it's like my entire body is going thru a change I've been to the doctor 3 times because not feeling 100 percent and 1st she said my tsh (thyroid) levels were low then she said read the test results wrong that my iron was low and I took iron pills for 6 weeks and she told me all was normal then she said I didn't have to take them anymore and that's when I experimented with Kelp and Zinc. Its only been about 2 weeks and all is still well with no meds no embarrassment and can in a staff meeting not paranoid. I feel clear and free. My eyes are no longer burning from the gasses coming from my nose, mouth and body. The smell is gone. My coworkers are looking at me as if I'm crazy for finally nit having the odor. What's in the zinc and kelp that's doing this???? Hello is anyone still taking the kelp n zinc combo? Does it still work for you? Hello is anyone still taking the kelp and zinc combo. Does it still work for you?